I’ve received this polish before in subscription boxes. I like the formula – it is vegan and 5-free. Organic Aah Argan Oil – (size not listed) Value $4? I like that this oil is 100% pure Argan Oil. The sample size is pretty decent for an oil too. I like using argan oil for my hands, cuticles, hair, etc. and this should last me a week or two! Metallic temporary tattoos have been popping up in subscription boxes for a while now, and I fall into the category of people who don’t use them, so these will be gifted! Verdict: This box has a value of about $27.50. (I had to estimate values on two items that didn’t have their sizes listed, so that value could be off a little). 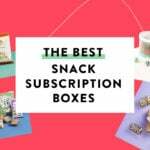 I wish the value of Bare Bliss Box was a little higher each month – for a $20 beauty box, I would expect the value to be closer to double the cost. At least I will use most of the items though! What do you think of the June Bare Bliss box? Temporary tattoos – does anyone like getting those in boxes?? It seems like unless you’re a 12-year-old girl, then you’re too old for temporary tattoos. Plus, even if I was a pre-teen, I don’t think I’d find temporary tattoos all that fun. They’re not even particularly easy to apply without accidentally tearing them. I’ll pass. Actually, I’m 28, and I love the flash tattoos. They are very different quality (better) than I remember temporary tattoos being. I pretty much only wear them when hanging out at the beach/lake pool with friends, but I just love having rings and bracelets on without actually ruining jewelry (I also like the little ones placed on a wrist or foot/ankle). I recommend putting sunscreen on first bc the oil will start to remove the tattoo is you rub over it, but salt water and pool water are fine, my “jewelry” lasts about a week after or I can take them off with oil makeup remover sooner. And I like cobbling the different tattoos to make something else! I had to let this one go. The value for me just wasn’t there, especially compared to Petit Vour. For $5 less I get much better (and for the most part, larger) organic/cruelty free products each month. Bare Bliss started out strong but seems to have dropped off after a while. On a slightly related note, those of us who did the Gilt City deal will be getting our last boxes this month. Does anyone know how to make sure we don’t end up getting charged in August for a full-price subscription? I don’t want to continue at the full price. Since I was Gilt City, I don’t have an actual website login, so I can’t do anything from there. I’m putting off emailing Bare Bliss Box directly because I’m lazy haaaa. I was wondering the same thing. I have tried emailing to cancel with no response. I don’t want charged full price for this box. It has not lived up to expectations. I went ahead and filled out their contact form. If they reply, I’ll post it up here so others can be aware. I emailed them back in May to make sure my 6 month gilt city subscription would be canceled. They responded and said that they would cancel it (not sure if it will automatically resubscribe or not if you don’t email). They also told me June would be my last box… I was like NO, JULY, not JUNE. They agreed there was an error in their system, but of course I had to catch it. This is the worst subscription I think I’ve ever had in terms of service and products/value offered for the price(I think I have about 10 of them at the moment). Not to mention the promotion deal on gilt city was very misleading. I will not subscribe with them again. I totally agree. The Gilt deal was misleading and the boxes have been underwhelming or downright poor. CS responses to concerns were combative. Not only were there metallic tattoos that no one wants but many of the tattoos were in Sanskrit together with an Arabic sword. I don’t really feel comfortable putting a bunch of writing on myself that I can’t read together with the depiction of a weapon, regardless of which language it’s in. I canceled three months into my 6 month subscription and never received the final three boxes from them. I paid full price and for the subscription. It wasn’t the guilt city deal or any other deal. I still received the same items as the guilt city deal subscribers. 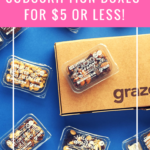 To not send out the remainder boxes to fulfill the subscription is super bad. SO, STAY AWAY because they cheat people. I can’t wait for my sub to end with them. I probably wouldn’t sub again. Give me KloverBox anyday. And I’d rather give PV or GoodeBox a try than give B3 any more money. I am so glad that I cancelled after May. Liz is more generous for the dollar estimates. To me the tattoos are maybe $1, and so is the face oil. I have enough nail polish to tie to the ribbon of every Christmas gift I give out. And I only paid $39 form3 months.